Add a touch of modern style to your kitchen with a Russell Hobbs 21400 Mode Kettle. Sleek gloss red plastic housing with stainless steel accents, it is packed with functional, handy features you’d expect from the pioneers of the automatic electric kettle. With a 1.7litre capacity jug, it’s big enough to make up to six cups, making it a great choice for family homes. 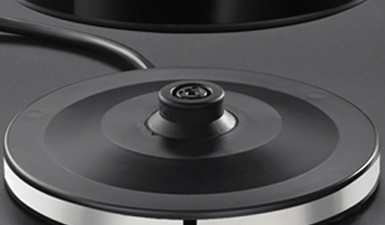 The Mode Kettle has a handy 360° base so it can be comfortably used by right and left-handed people. And to keep your work top clutter free, the base has integrated cord storage so you can make it the length that you need.